Less than two weeks after Norwegian Cruise Line hiked the price of their onboard beverage packages, Royal Caribbean has followed suit. Beginning January 1, 2019, the line’s Deluxe Beverage Package will range from $63 to $70 per person, per day, up over 10 percent from the current range of $57 to $63 per person, per day. Including the automatic 18 percent gratuity, the full cost will range from $74 to $83. 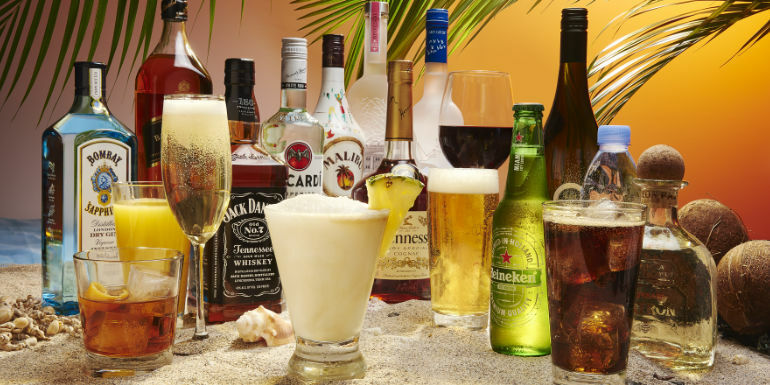 This package includes a range of cocktails, beer, wine, non-alcoholic drinks, premium coffee, tea, fountain soda, and bottled water. A spokesman for Royal Caribbean told USA Today that prices will vary based on the ship, the itinerary, and the time of year, so not everyone will always have to pay the higher prices. The less-inclusive Premium Refreshment Package will go up from $26 to $29 to a flat $29 per person, per day on all ships. This package includes non-alcoholic drinks only, like premium teas and coffees, bottled water, fresh juices, fountain soda, and non-alcoholic cocktails. The soda-only Classic Soda Package will also be rising from $8.50 to $9.50 to $13 per person, per day. If one passenger in a cabin purchases the Deluxe Beverage Package, all other adults staying in the same cabin must purchase it, too. This rule prevents travelers from sharing a single package. At the new rates, two guests sharing a stateroom on a seven-night cruise will pay at least $1,040.76 for a Deluxe Beverage Package. Will you still buy Royal Caribbean's beverage package?